Description: Try to let them on, but be careful not to make them fall down. 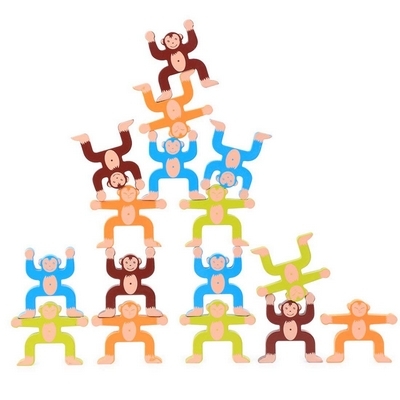 Challenge your friends and parents to place in turn all the monkeys on the desk in the strangest postions.The winner is who manage to position the last animal without making the others fall down. A simple and funny balance game for the whole family.